After a disastrous adventure in ancient Egypt, Professor Payne Johnson has accepted a teaching position at prestigious Whispering Pines Prep School for the Fine Arts, a school for time travelers, even though he no longer has the ability to visit the past. His precious heirloom, a Leap Behind, has lost its power to transport him to the land of the Pharaohs. He also fears that his traveling companion, his beloved Cleo Patra, has succumbed to a terrible fate. Professor Payne must now prepare his privileged students for a leap back 3,000 years to ancient Egypt, where they will search for an answer to his difficulties. To complicate matters, Payne’s new student Kensington Paliss has leapt behind to ancient Egypt, fallen in love with King Tut and prevented his early demise. Finn Farrow, an advanced pupil, delays a long-awaited adventure through the North American territories to assist the professor and make sure the pretty Kensington Paliss returns to the present safely. 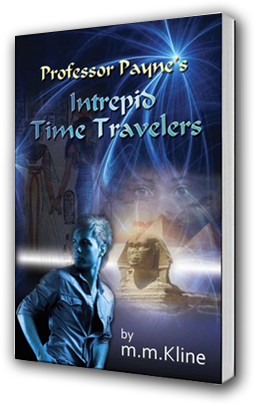 From the last days of the Pharaoh King Amenemhet to the mortuary temple of Hatshepsut to the court of King Tutankhamen, the time travelers are about to find out how extraordinarily difficult it is to experience the past without changing the future!